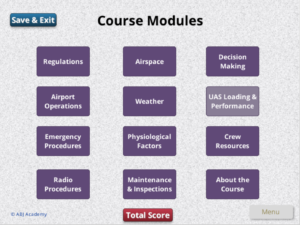 This course is designed to guide you guide you through the typical international requirements for Professional and Commercial Drone Pilots, such as the USA Part 107 certification or the PfCO used in the UK. This is an excellent first step in enabling you to become commercially involved in an industry that experiencing exponential growth daily. You can work through the course at your own pace and always return to a module again should you wish. 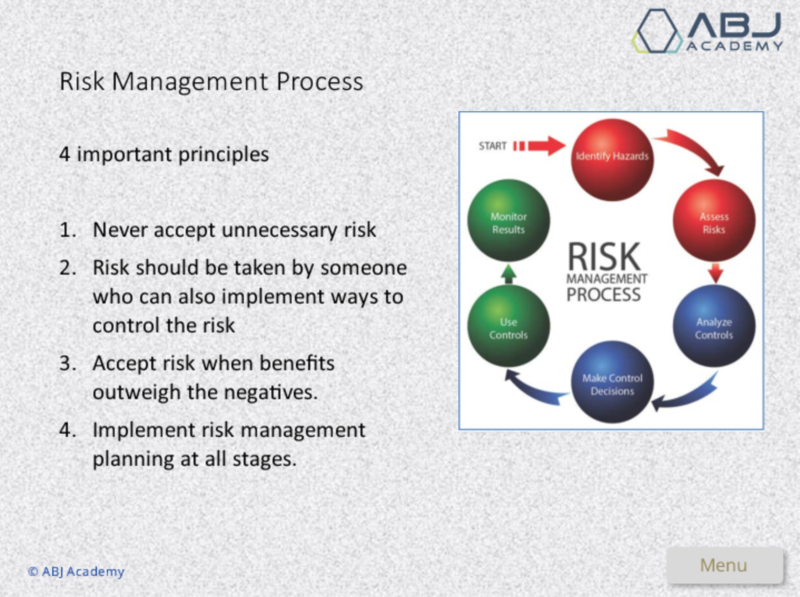 Each section is concluded with a short test to ensure that you are comfortable with your newfound knowledge and skill. 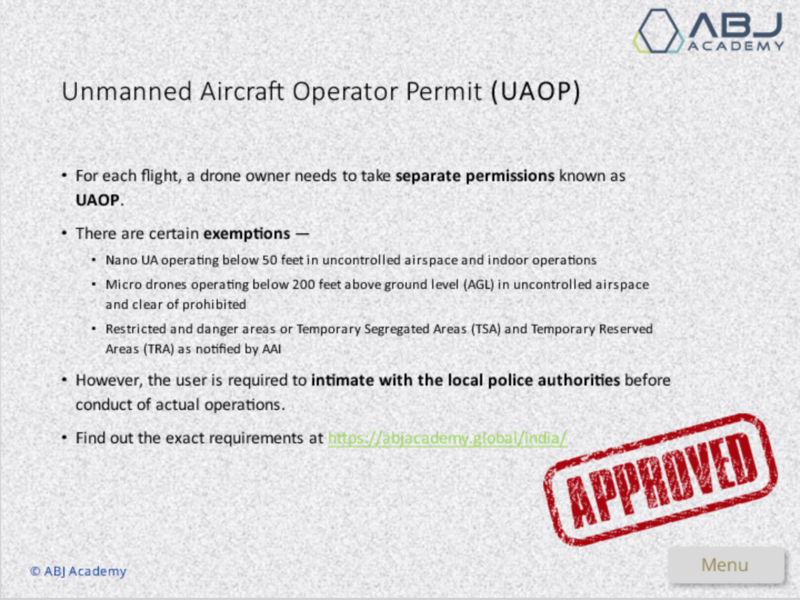 Note that since 28 August 2018, the DGCA has specified that commercial drone pilots operating in India need an UNMANNED AIRCRAFT OPERATOR PERMIT (UAOP). 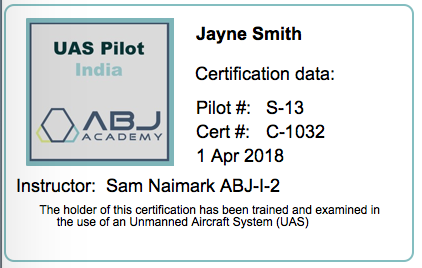 These are issued by any DGCA approved Flying Training Organization (FTO). Become an expert drone operator through drone certificate program for India. Through applied knowledge and training with experienced drone instructors, individuals will develop an invaluable expertise that can be applied to multiple commercial industries. Our certification program will give you all the essential skills and knowledge to become a commercial drone pilot. 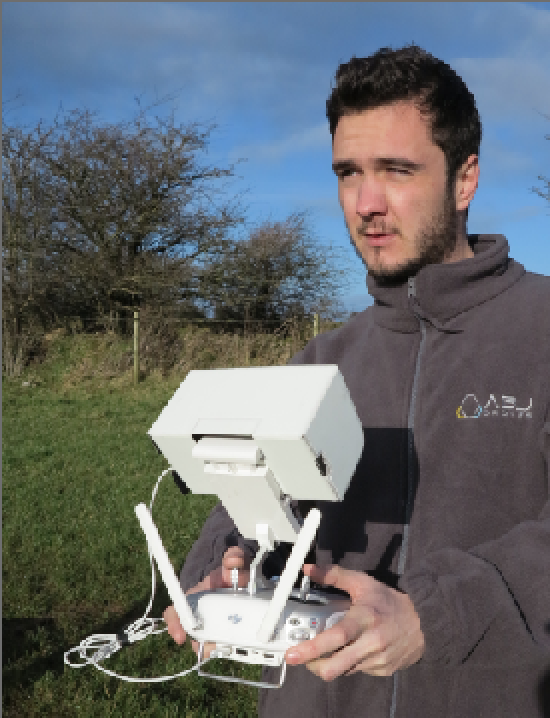 Once you have mastered the essential piloting skills you will be ready to move onto some of the exciting specialist areas that drones are being used for by industry, such as aerial filming, powerline inspection, solar or wind farm monitoring, construction surveys, agricultural monitoring, wildlife surveying, search and rescue, and aerial photography. 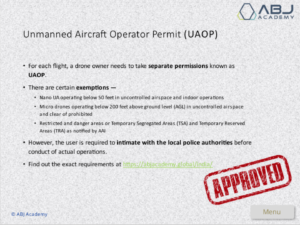 Our program uses the latest drone technology and will train you to understand the latest commercial drone regulations. 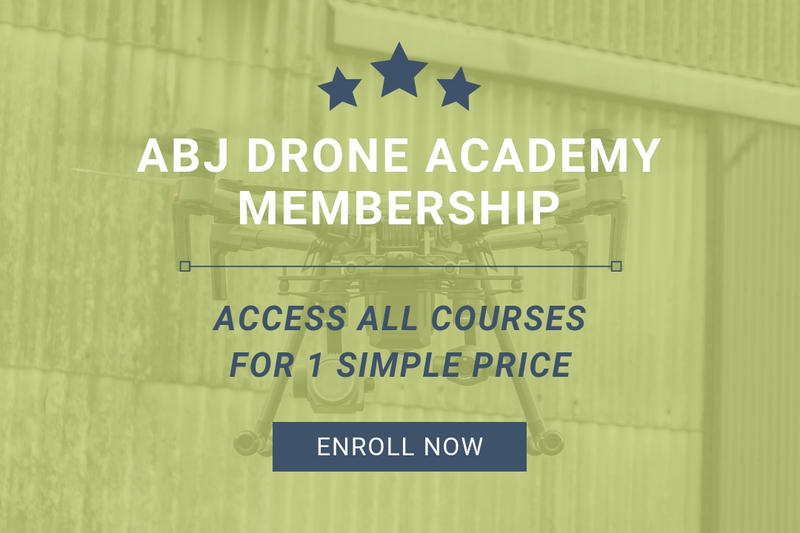 ABJ Drone Academy works closely with the leading standard-setting bodies such as the International Organization for Standardization (ISO and the Federal Aviation Administration(FAA) to ensure our courses represent the state-of-the-art. If you successfully complete the online theory course and the practical session you will receive a full certification for this course to prove your competency, including a credit card sized identity card.